Birthday is an important event that can share your happiness with your family and friends. So it is better you make a happy birthday video slideshow with the video and photos that you get from your birthday. This is a great way to keep this unforgettable moment. Here you will get the best birthday video maker to create unique slideshow. 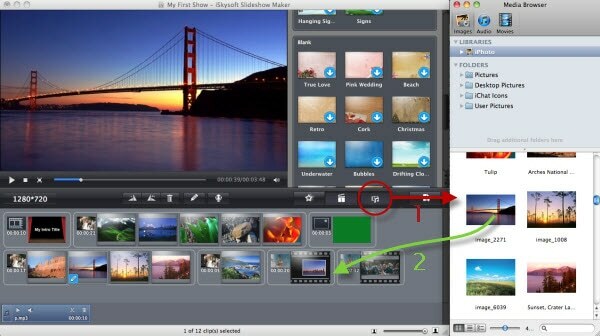 If you have a Mac and need a program that will allow you to easily make a professional birthday video slideshow, then you should look at iSkysoft Slideshow Maker for Mac. This birthday video maker is an easy-to-use, powerful slideshow creator that provides professional movie themes. So even beginning users can make a birthday video like a pro. You don't need any experience to make a birthday video to amaze your family and friends. 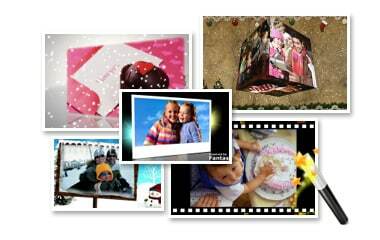 Some of the basic features of this birthday slideshow maker include support for full HD videos, stylish birthday themes, loop audio functionality,etc. 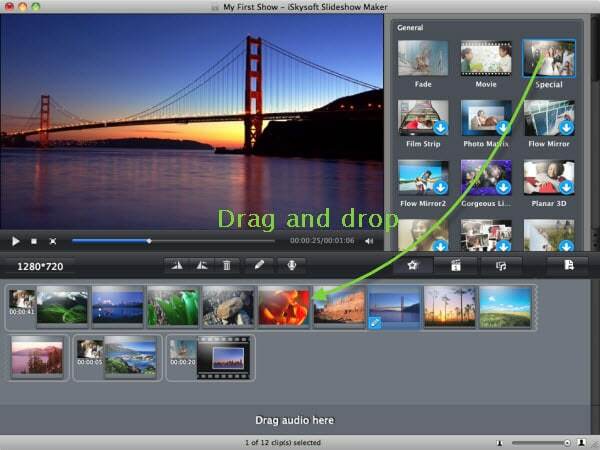 You also get basic editing tools to edit your birthday videos. Enhance your photos with special effects like Sepia, X-ray or Flipped. Now see how to make a birthday video on Mac step by step. 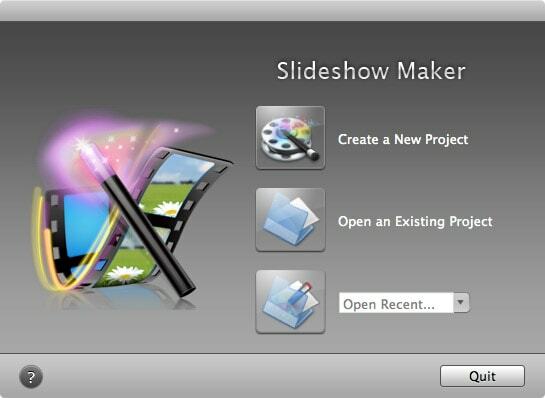 Download and install Mac Slideshow Maker, run this program, and you'll see its welcome screen. Click Create a New Project to get started. This birthday video creator uses a Media Browser for you to easily import photos, music and videos to your newly created project. 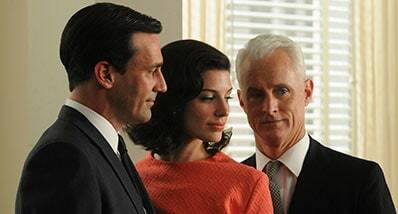 When the media is added to the storyboard, drag and drop a slide to arrange it. Besides the drag and drop method, editing buttons are easy to access, such as delete, rotate, and edit. Tips: Before moving forward, select suitable dimensions for your birthday slideshow video. For a HD birthday video, select 1280*720 or 1920*1080. Some themes will be chosen for a start. But you can drag any theme from the browser to the storyboard to replace it. You can also add a personalized touch to your birthday video with animated captions or voiceovers, which help create an interesting presentation to your birthday video. 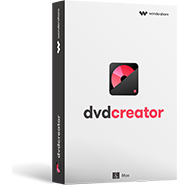 When you are all done, you can make multiple copies of your birthday video and share them on DVD player with all your friends and family using the in-program DVD burning function. 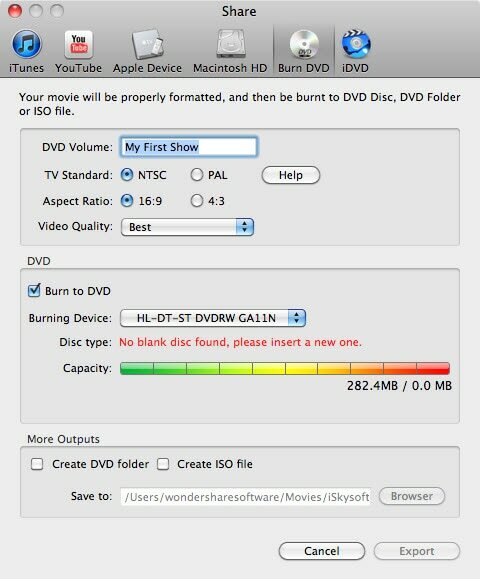 iSkysoft Slideshow Maker for Mac allows you to directly burn your movies to DVD video. You can also export birthday video to iTunes library for management, or watch on iPod/iPhone/iPad/Apple TV quickly and easily. Tips: It's a good idea to save the project for later editing. To do so, go to File menu and select Save or Save As option.